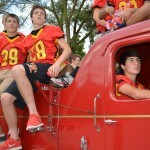 Alex Zorn and Alison Hartmann, part of the Homecoming Court, ride in the BHS Homecoming Parade on Wed., Sept. 10. 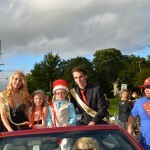 Maddy Kozar and Zach Rice, part of the Homecoming Court, ride in the BHS Homecoming Parade on Wed., Sept. 10. 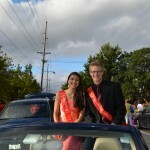 Hailey Plata and David Michelson, part of the Homecoming Court, ride in the BHS Homecoming Parade on Wed., Sept. 10. Jake Haefer and Emily Tae Smith, part of the Homecoming Court, ride in the BHS Homecoming Parade on Wed., Sept. 10. 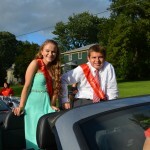 Rebekah Oakley and Rob Fornari, part of the Homecoming Court, ride in the BHS Homecoming Parade on Wed., Sept. 10.